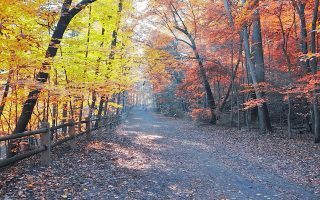 Autumn is a fantastic season for running. Crisp air, orchards, pumpkins, and of course the changing leaves. 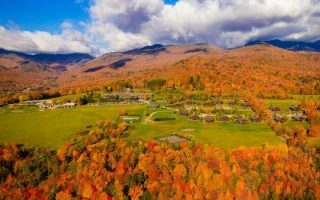 We’ve put together several compilations of favorite fall runs: guides for autumn epicenters Vermont, New Hampshire, Maine, and Massachusetts, as well as a “Top 20 Fall Foliage Runs in New England’ list. 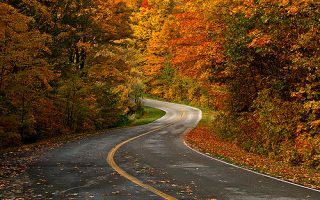 This list focuses on some 20 favorite routes in North America that are particularly special in the fall, mainly in the east. We’ve selected 5 from our New England Guide. You won’t find beach runs or pine tree forests here! 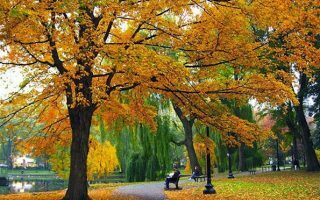 These routes are generally in signature parks, wooded paths, or spots with great foliage views, in areas with the prettiest autumn leaves. We’ve tried to point out one special route in each city. 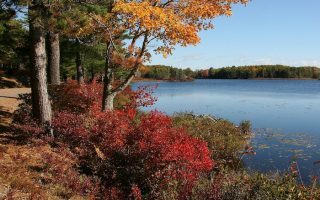 To plan for peak foliage running, follow the calendar. 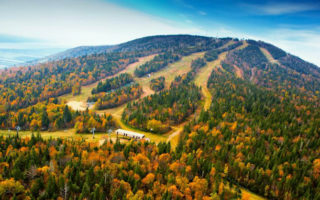 Peak is early October in far northern areas, mid-October north of Boston, late October in southern New England, and early to mid-November down to the mid-Atlantic. The iconic Montreal run. 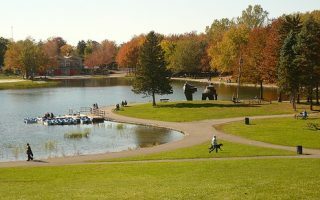 Mount Royal defines the city, and this Olmsted-designed park offers numerous trail options, including a run to the summit–accessible from downtown! 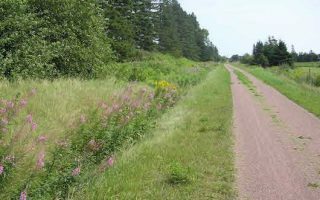 A 'rail trail' running across the entire island east-west, with branch trails to popular spots. Stone dust surface, well signed & maintained. Detailed maps with segment distances, and recommendations on the most scenic sections for running. The signature park in Halifax, only 3km from downtown, and wonderful for running. 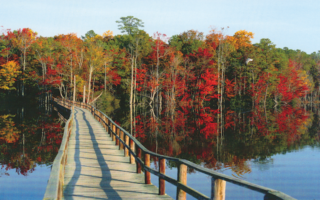 Good combination of waterfront trails and forested, interior paths. 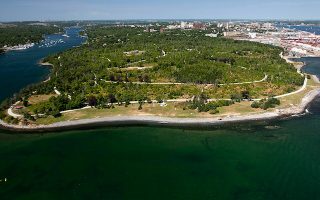 30 minutes from Quebec City, this is a great trail running destination in summer. 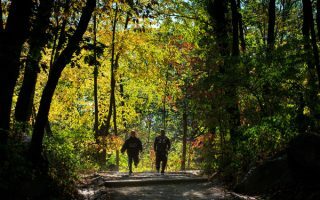 There are trails for various abilities: a gentler run to the summit, a loop around a lake, summit ridge trails, and a waterfall trail involving 400 steps. 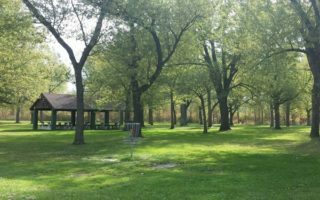 Enjoy Ellicott Creek Park and the parkway along Ellicott Creek, for a nice green escape about 10 miles north of the city. Mt. Hope Cemetery is a historical landmark offering 14 miles of hilly interior paths that are wonderful for running. 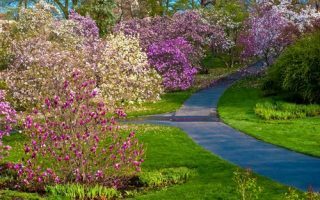 Adjacent Highland Park features 500 acres of wonderful trees and plans and is famous for 500 varieties of lilacs. 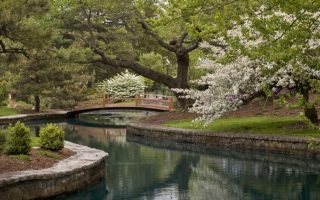 This beautiful 3.1 mile loop runs past the temple to music, and The Roger Williams Botanical Gardens. 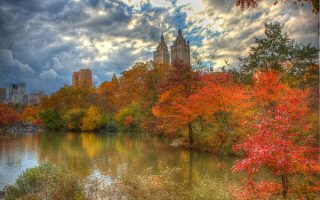 An iconic urban run and certainly an oasis in Manhattan. Numerous options: 7 mile perimeter path, reservoir route with great skyscraper views, woodsy sections, grand allées. 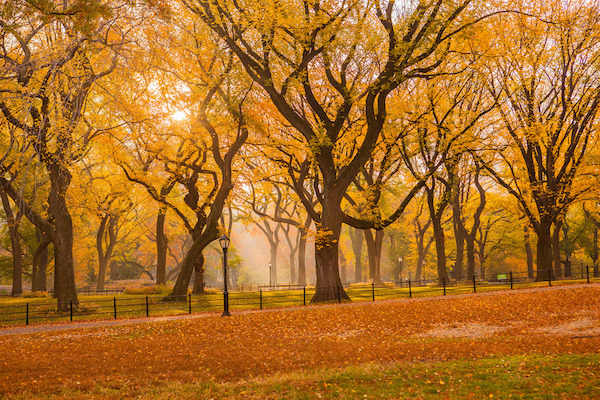 NYC’s fourth largest park. 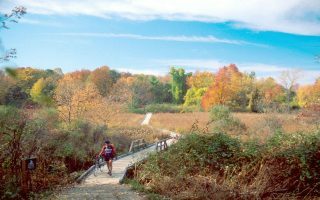 Great options for runners, with trails and marked cross-country courses, through the park’s ridges, valleys, forests, wetlands, aqueducts, and lake. 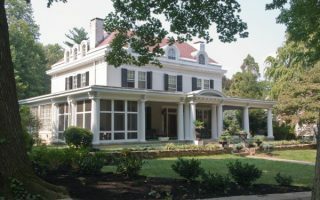 Designed by Frederick Law Olmsted between 1890 and 1920 as the first “planned suburban community”. Our guide to some of the nicest streets in this classic, gorgeous residential neighborhood. 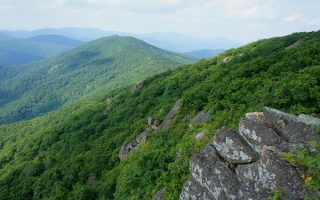 75 miles from Washington, D.C., featuring the famed 105 mile Skyline Drive. 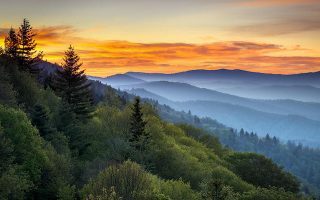 Wonderful drive touring and hiking opportunities. Good running options along some of the gentler trails and fire roads. Trail runners will find lots of options here too! America's most visited National Park. 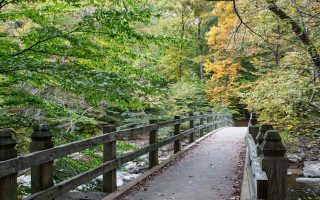 A great option for runners is the Cades Cove Loop Road, which runs 11 miles one-way. Also good running in the Greenbrier Cove area. One of the best running spots in the White Mountains. The paved trail is 8.8 miles from Flume Gorge in the south to Skookumchuck & Rt. US 3 in the north, with an 800 foot elevation gain. Many sites & views along the way. Seasonal shuttle allows for one-way run! You don’t have to be a serious trail runner to enjoy the backcountry views in this National Park. 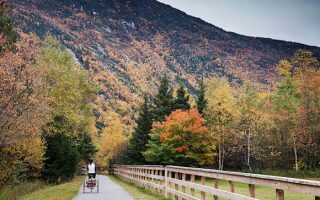 Acadia has 45 miles of wide, well-groomed carriage roads that are perfect for a refreshing fall run. Fantastic option in the fall.